Condair specializes in the design and production of superior humidification products. Commercial dehumidification packaged and custom units Air Humidification systems—state of the art. 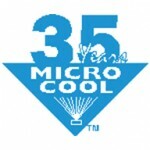 MicroCool manufactures high pressure (1000 PSI) water mist and fog nozzles and pumps for fogging and misting solutions for humidification, outdoor cooling, condenser cooling, and dust and odor suppression. Our Products and Manufacturers are from the top industry leaders. Click here to find more about our products. We, at JF Taylor, believe that hard work and dedication can provide superior support and representation of our quality product lines. We are focused on only representing those manufacturers which offer the highest quality product. JF Taylor has many ‘Green’ solutions for your home. In fact, we’re proud to offer green solutions to our customers. Contact JF Taylor today to learn more about incorporating ‘Green Solutions’ into your home or business. Copyright JF Taylor Enterprises Ltd.